Hurrah! We finally have the second part of our Beer List for this year. So you now have all of the beers and ciders for this year. With less than 48 hours to go until it all kicks off, the Marquees have been put up and the beer scaffolding erected. Thank you to all that helped. We’ve lots more to do yet but that’s all for today. 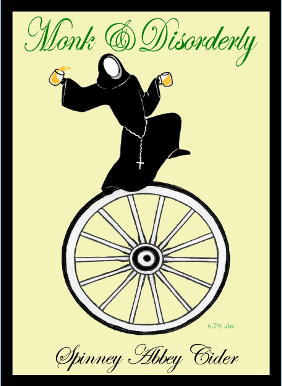 We will obviously be having our local cider producer, Jonny Fuller from Spinney Abbey, providing us with his expectional Monk and Disorderly and Virgin on the Ridiculous ciders. Did we mention they are award winning? If you haven’t tried them yet, what have you been waiting for? The Toffee Apple is definitely the one I look forward to sampling. As always please bare in mind that although this is what we have been promised by the company, this may not be what we have delivered on the day. We also have beers coming from the Iceni Brewery and once we have them confirmed we will let you know. Now that you have this, you can start plotting how to work your way through them. Below is our Press Release for this year. Please share our Facebook page and tell your friends, there’s only 3 weeks to go…..
Now in it’s 11th year of running, Wicken Beer Festival is better than ever. An enthusiastic bunch of villagers and the Recreation Ground Commitee kicked the event off in2004, aiming to raise funds to improve the local Recreation Ground in the village. In the time since, they have managed to raise over £30,000 with all proceeds helping towards the ongoing development of the MUGA (Multi Use Games Area) and the play areas. Without the help of all the people who give their time and energy to make this happen there simply wouldn’t be these facilities within the village. This year we are at it again, kicking off the event at 4pm on Saturday 16th May. 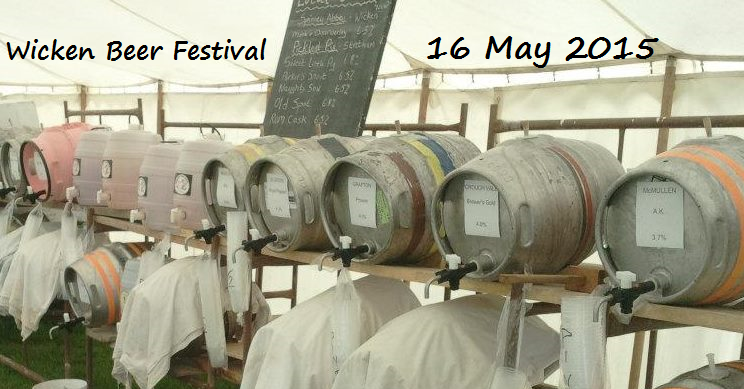 We will have an excellent variety of beers from around the UK as well as locally produced and award winning Pickled Pig Cider from Stretham and Spinney Abbey Cider from Wicken. When you get hungry we will be serving up Wicken’s own Tylers sausages and burgers, and we would recommend adding a dollop of Bob’s Special Sauce. Soft drinks and crisps will also be available. A different line up of local bands this year completes the Beer Festival. – Our first new band of the night is True Pacific. They are a 3 piece alternative rock band from March starting their set from around 17:00. The band are made up of Christian Smith, Josh Middleton and Tristan Hall. The 142’s Band will be playing the late slot from around 20:00. They are a 3 piece Rock band consisting of Ely based members Drew (Guitar), Bernie (Bass) and Andy (Drums) and their covers include songs made famous by Elvis, the Beatles, Rolling Stones, Led Zep, Bryan Adams, Guns n Roses, Primal Scream, Oasis, Franz Ferdinand and Kaiser Chiefs to name a few. Entry and parking are free at our family friendly fundraising event. 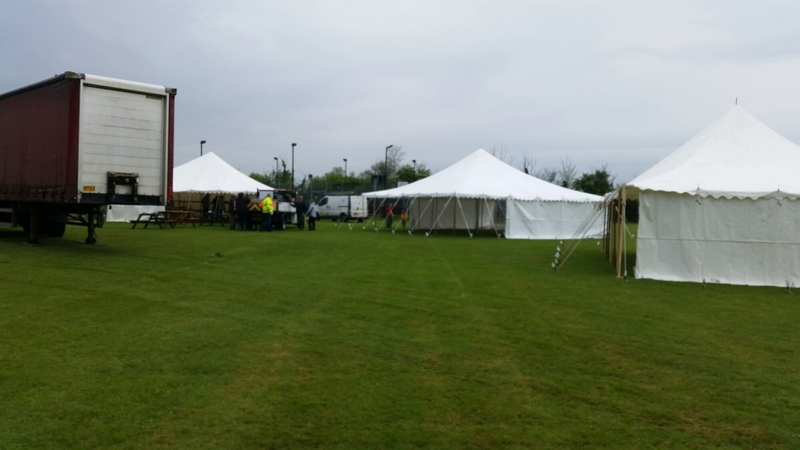 In case of rain we have marquees in which to shelter, but with so much space there is plenty of room for people to bring their own gazebo’s and chairs if they wish. We encourage you to bring some balls and bats for the kids and maybe a picnic blanket for yourself, but could we ask you politely to refrain from bringing any dogs. 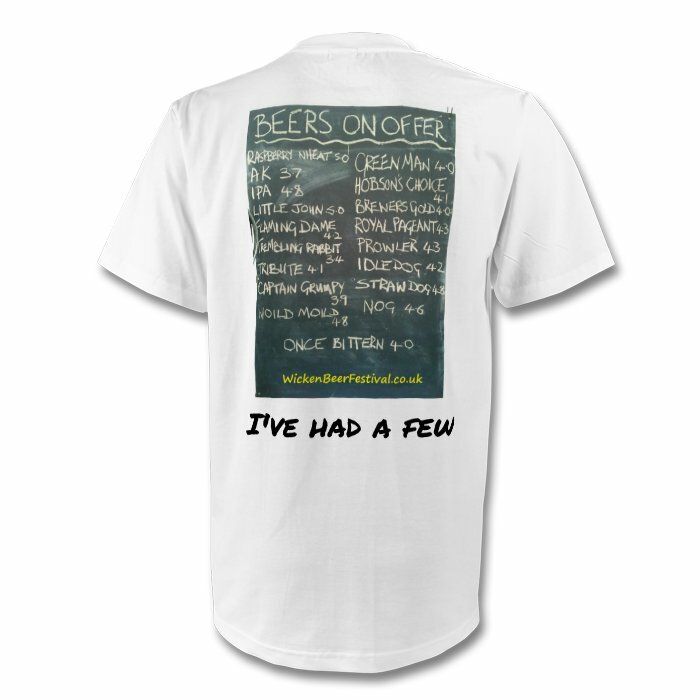 Please visit our website at WickenBeerFestival.co.uk for further information. Come rain or shine, we look forward to seeing you there. With all of the feedback we have had from you all over the last couple of years we can confirm that we will have 2 new bands performing at this years Wicken Beer Festival. Our first new band of the night play the late slot (8=11.30 ish) will be The 142’s Band. They are a 3 piece Rock band consisting of Ely based members Drew (Guitar), Bernie (Bass) and Andy (Drums) and covers include songs made famous by Elvis, the Beatles, Stones, Dr Feelgood, Led Zep, Bryan Adams, Guns n Roses, Primal Scream, Greenday, Black Crowes, Oasis, Franz Ferdinand, Kaiser Chiefs, Kings Of Leon and more….. Their current set list is available here. If you want to find out more, visit their website by clicking here or their Facebook page here. The second new band of the night will be True Pacific, a 3 piece alt-rock band based around March. Their set will be from around 5pm until 7.30pm roughly. The band are made up of Christian Smith, Josh Middleton and Tristan Hall. Visit their Facebook page by clicking here. I know that I’m looking forward to seeing what these bands can do and if they can get my feet tapping and hips swaying behind the bar. We’re still waiting for confirmation about beers and ciders available this year and when we have it you’ll be the first to know. Our Facebook page is the best place for last minute updates and info on how to find us. P.S. Wicken Now has Super Fast Fibre Optic Broadband – This is the cheapest deal we could find. Happy New Year to You, and especially those of you who supported the Wicken Beer Festival in 2014 and in the previous years. There are only 4 months until we all come together and enjoy another fabulous event in May with lots to drink and eat. Not forgetting about the music and, touch wood, some beautiful weather. Invite your friends to the 2015 event by clicking on Facebook, and don’t forget to like our page if you have not already done so. We will keep you up to date as usual with our Beer List etc. as soon as we can. To make sure you get our updates, subscribe to our News and updates by adding your details into the box on the top right under our site stats. We look forward to seeing you and your friends at our next event. We hope you are all getting into the swing of summer by enjoying all this lovely sunny weather. Well, after last year we feared another wet weekend and this is what the forecasters were predicting for this year. We were hughely relieved that they kept up with tradition and their predictions were incorrect. Although it wasn’t the warmest, it was another successful Festival with over 2,000 pints sold. We’ve raised just over £3,000 which we’re delighted with. Our thanks, as always, go to the organising committee (Sue & Rory Woodroffe, Richard Abbott, Marc Hawes, Jack White and Jim Day) and the many helpers without whom it wouldn’t be the success it is; Cass Clay, Jerry & Susan Woodroffe, Kelly & Bernie, Nick Clarke, Richard French, Bob & Bridie Heuer, Jo Moore, Jilly Rogers, Jean Turner, Rachel & Beth Earl and G’s of Barway. Our biggest thanks, though, go to the many, many supporters who came and tried our selection of beverages, food and entertainment and made the hard work worthwhile. We have created quite a following with regulars appearing year after year. If anyone wishes to get involved for next year, please let me know. We could do with a bit more physical muscle to help out with putting the marquees up prior and clearing up after on the Sunday. There are a few events going on in the Village this weekend starting on Friday evening with a Wicken vs Ivor Searle football friendly. Followed by live music and drinking at the Maids Head. On Saturday 28th June there is the Wicken Fete and Dog Show, taking place on our village greens outside the Maids Head, Pond Green and Mission (Village) Hall. Free Entry, Free Parking and loads of stalls, games, bric-a-brac, tombola’s, BBQ, beer tent, cakes, and live music. The Wicken Mill will also be open throughout the day – check out their Facebook page by clicking here or their website by clicking here. We’ll see you there, probably in the beer and cider tent! I do love the T shirt worn by Stephen in the article and you can also see 2 of our main Organisers – Liz Houghton and Susan Woodroffe (my mum!). If you see us next year behind the bar you’ll know who we are and can say hello. It has always been lovely to feature in the local newspapers over the years and with the increasing popularity of social media we are much better able to keep everyone informed of what is going on. We hope you enjoy reading the taster notes before the festival starts and we always endeavour to give them to you before we kick off. This should allow you all time to peruse them for your drinking pleasures. If there are any beers that you particularly like and would like to see again let us know. The cider comes from 2 local producers – no more than 4 miles away – so we plan to continue getting our cider supplies from them as long as they’ll have us. We hope you have had chance to look through our photos from the night but if not click here. Alan Gambles photos are also available by clicking here. There’s a not so flattering picture of me at the beginning so it was nice of Alan to keep that one in! We hope you have all had sufficient time to recover from all those pints of ale, lager and cider you all drank on Saturday night! Wasn’t it a good one? The sun was shining (most of the time) and the rain stayed away (mainly) and even the chilly wind didn’t put you off from coming down and having a great night. It is always such fun to serve you all, soak up the friendly atmosphere and catch up with people who we may only see on this night of the year. We’re even developing regulars! Those people who, over the years, have kept on coming back for more, despite the sometimes miserable weather! Learning to Fly, who were performing at the Beer Festival for the first time, went down a treat. Gravel Road were also on form and we took a break from serving to have a good old boogie and let our hair down a bit. There was an impromptu acoustic performance from a young lad called Josh once the main band had finished. He entertained you all until gone midnight when we had to clear up and chuck you out so we could go home and rest our sore and achy feet. The beers sold quickly with Farne Island and the Flirtatious Ungulate being popoular. The Monk and Disorderly was also a favourite and who could forget the Sweet Little Pig? What was your favourite? Is there anything you’d like to see again next year? Our local neighborhood photographer, Alan Gamble, was out and about capturing moments in time throughout the evening. There are some really lovely photo’s, so if you haven’t seen them already click here. Have you had a look at the photos we took? Check out our album on Facebook by clicking HERE. Please feel free to tag yourselves and your friends (if it’s ok with them). We also got various mentions in the press, including the Ely Standard and Ely Weekly News. I think we can safely say that we are famous! The night was a huge success and we took over £7500 from both the BBQ and the ticket sales. Roughly, this translates into £3000 to go towards the Recreation Ground Fund. We’ll update you with the exact figures when we have them. The Committee have been looking into new play equipment and it is very expensive. One idea was to create a mound of earth, put a tunnel through it and have a slide on the top. A simple idea but it could be very effective. What do you think? Do you have any suggestions for what we could do with or add to the Recreation Ground? It is probably a good time to say a huge thank you to everyone who helped organise the event, erect the marques and who volunteered their time on the night to help run the bar and BBQ. We really couldn’t do it without you so, Thank You. My personal highlights from the evening include a random game of “Rock, Paper, Scissors”, a good boogie whilst watching a little girl zoom around with her mum and dad, seeing old friends, and my new bright green Monk and Disorderly hoodie. Oh, and lots of laughs with fantastic people along the way. What more could we ask for? Steve Williams, photographer from the Ely Standard, popped in on Saturday afternoon to take a few photos. You can read their full article here. Click here to open Alan Gamble’s album of 95 photos in Facebook. Hi all. 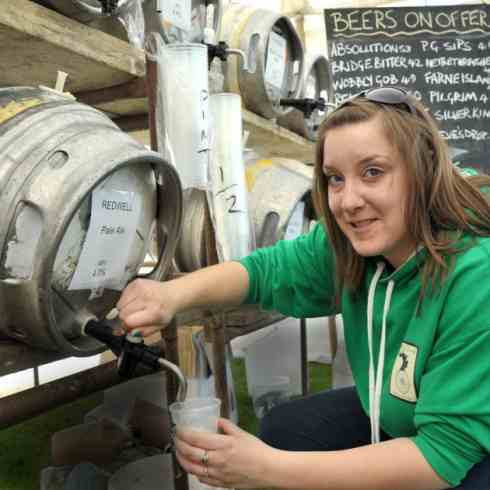 Here’s the link to the photos we’ve taken at the 2014 Wicken Beer Festival. Have a look through them and feel free to tag yourself in them. A fruity pale ale, deceptively drinkable for its strength. Sweetish but not cloying. This ruby-coloured brew is a new developed for Wicken Beer Festival and is what happens when you ask a brewer for something a bit different…..! Like an American IPA, heavy hops, ruby beer. Only 2 dozen barrels made a year. Pale golden hoppy beer, brewed mainly with Brewer’s Gold hops. Very fruity and bitter. Gentle aroma of malt and fruit. Good balanced start finishing with a robust hop mouthfeel. Well-balanced mid brown beer that leads to an equally well-balanced fruity, bitter after-taste. A deep ruby-coloured beer. A blend of hops gives this beer a slightly floral and roasted taste. A copper-coloured bitter with a refreshing malt/hop balance. A medium-bodies, golden ale; a light well-balanced bitter with a subtle, dry, hoppy finish. Very, very good. A traditionally brewed ‘real’ lager. Enough flavour for lager and beer drinkers alike. Straw golden beer with Cascade hops. A robust golden pale ale with both berry and slight roasted notes. A lager-style beer with a crisp, dry flavour and a citrus fruity aroma. A refreshing modern pale ale with an amazing amount of flavour. Satsuma and stone fruits balance malts, leaving a pleasing bitter orange finish and a lovely sweetness. A good old-fashioned thirst quenching English bitter. Locally grown Pale and Crystal malts result in a full malty palate. The fruity aroma and slightly peppery mouth feel give way to a satisfyingly lingering hint of sweetness. Red-brown with a pronounced malty bouquet. Bitterness increases throughout but is softened by a smoky malt background. Some roast notes and a gentle, fruity sweetness. An enticing aroma and a refreshing, light taste. Natural flavours and aromas give a rich appley cider for both beginners and seasoned cider drinkers to enjoy. A fruity sweet cider with a full flavour of whole apples provided by a high proportion of Cox apples in the blend. A sweet cider with a dry aftertaste, friendly on the nose. An excellent session cider, made using three varieties of apple all grown in the Fenlands. A medium cider fermented and aged in freshly emptied American bourbon barrels to give a fragrant smooth cider with a hint of sweet whisky and vanilla. Made using a blend of dessert and Perry pears, this is a lovely fruity and smooth medium sweet Perry. It has a zingy finish of pear drop sweets. A single variety cider with a crisp clean taste. Easy to drink – don’t forget it’s alcoholic! Medium dry. What more can you say!! Based on an old recipe for ale dating from the 1700s, the addition of Black Strap molasses gives this amber beer a rich body and earthy flavour that builds up the malty character. A gentle beer with light citrus airs. A low but increasing bitterness is the major flavour as some initial sweet hoppiness quickly declines. A delicately flavoured brew with a fruity nuance. An aroma reminiscent of redcurrants gives way to a low key marmalade and hop beginning. A stronger finish with increasing bitterness. Just a quickie to let you all know what ciders, and a few more beers, you can look forward to sampling at the weekend. The weather for Saturday isn’t looking brilliant. The Festival takes place on the Recreation Ground and can get muddy when wet (surprising huh?!) so please come prepared. We do have 2 marques to provide some cover and plenty of seating so it’s definitely not all doom and gloom! Come rain or shine we will be there to provide you with a nice refreshing pint and a burger or hotdog to wash it down. So come on over and help support our cause.